Riverside Cabin comfortably sleeps four adults in two bedrooms with sumptuous king beds, one with a river view and one with a forested view. Each bedroom has a private bath with double vanities and a steam shower. 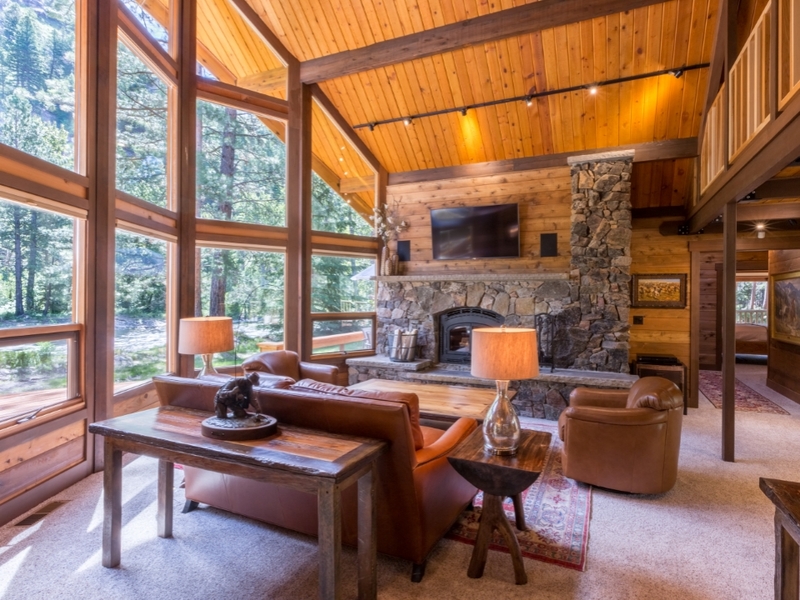 A wood burning fireplace crafted from river rock graces the living room where the vaulted ceiling and floor to ceiling windows offer a panoramic view of the West Fork of the Bitterroot River. Guests can also soak in the river view from a generous wrap around deck featuring both a large hot tub and a fire pit.